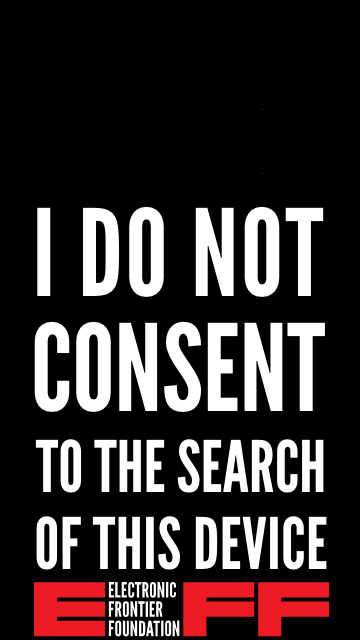 For those who haven’t seen, the Electronic Frontier Foundation (EFF) has created several lock-screen / wallpaper images related to protecting your rights. I wanted to use the first one on my Galaxy S8 Active, but the image interferes with seeing the clock, date, and notification icons. So I moved the text of the image down just enough so that it fits comfortably while not obscuring any information. Screenshot below, and a link to my version of the image you can download.